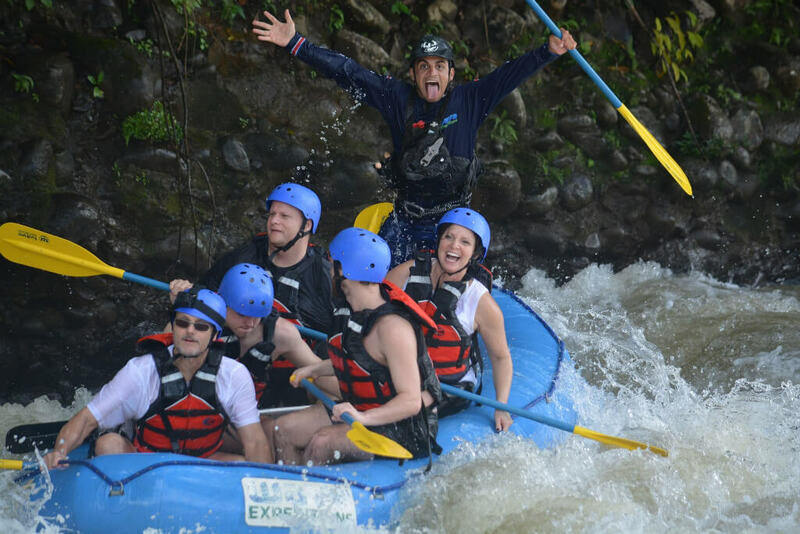 This Zip Line and Rafting Adventure Combo in Arenal Volcano is designed for extreme thrills! Consists of the 7 most extreme zip line cables of the park. 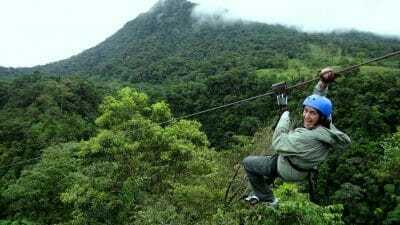 Begin the tour with an adrenaline filled climb up a 54 feet high tower to fly over a 360 feet high canyon, the highest place in the park. You will cross a hanging bridge to our longest cable of 0.6 miles high above la Fortuna Waterfall with great views of downtown. Finally you will glide across the cables at high speeds of up to 43MPH. 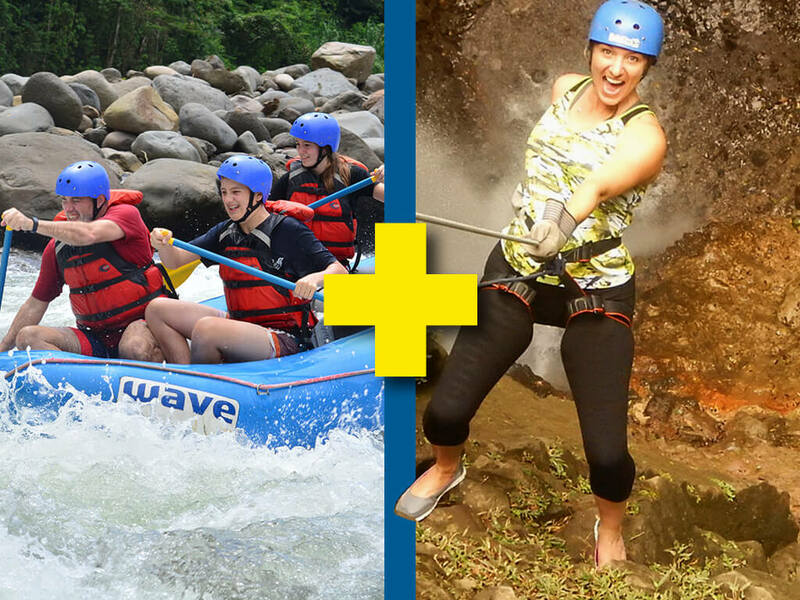 Continue this amazing day with the best whitewater rafting Tour in Balsa River class II&III. 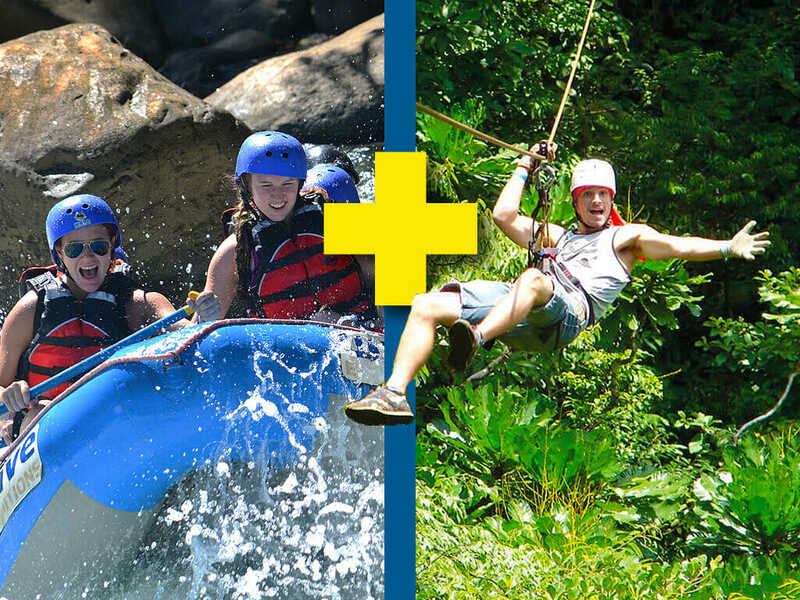 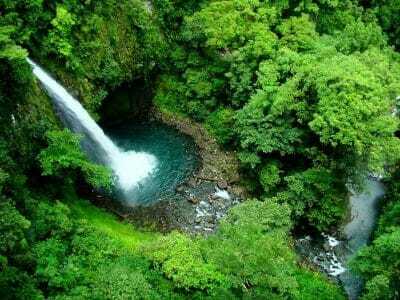 Experience the most popular highlight in Costa Rica. 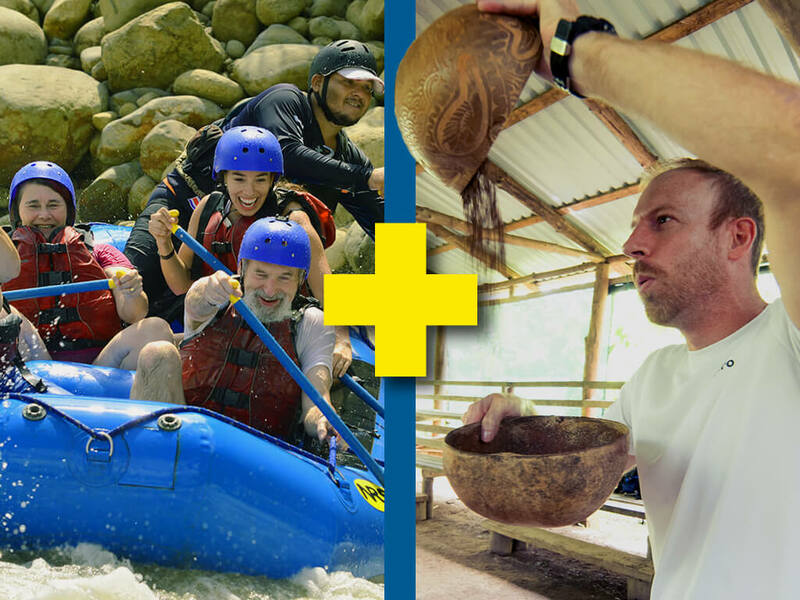 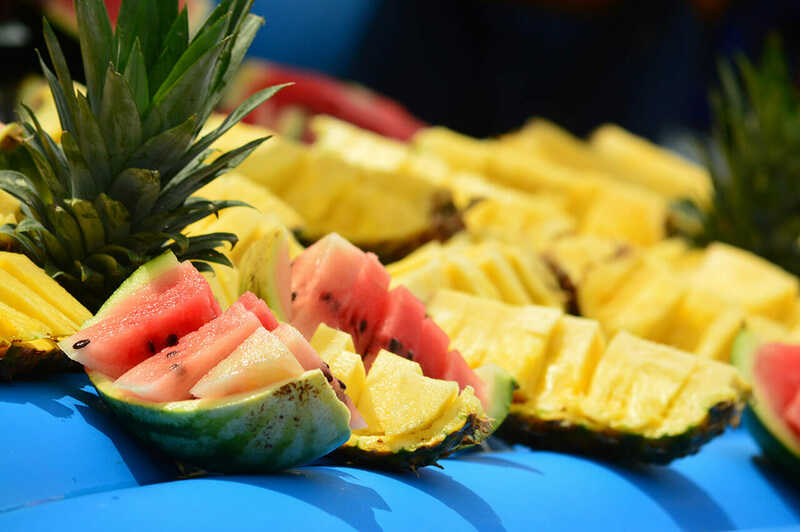 At the end of this amazing day of adventure you will enjoy the best Costa Rican Typical lunch in a private restaurant.